We’ve seen flying car concepts many times over the years – something it seems inventors have been trying to make a reality almost since the Wright Brothers flew at Kitty Hawk. With concept vehicles with folding wings that fit in the family garage or the personal helicopter that lands in the driveway, there is no lack of creativity or dedication in trying to make them a viable alternative. 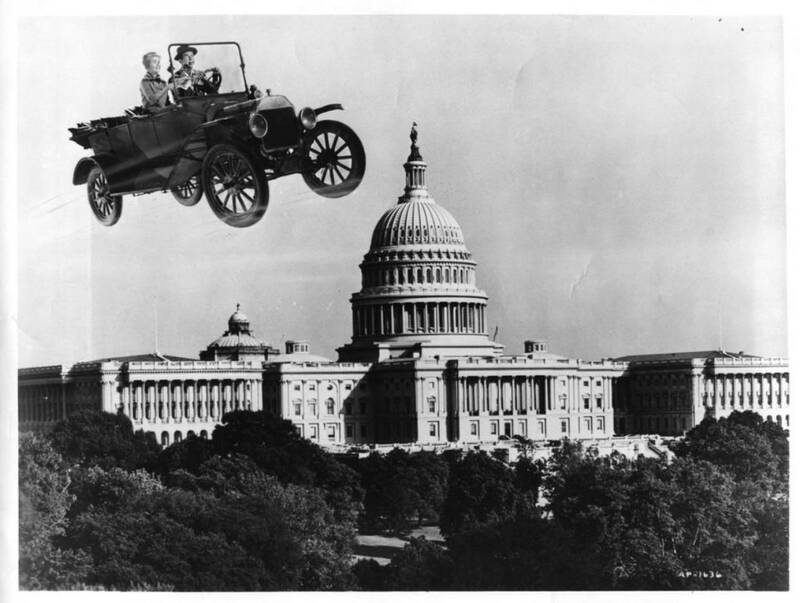 But Hollywood has given us the flying cars of our dreams in both film and TV and, instead of being bound to what is realistically achievable, we’d prefer to look at what can be imagined. So we’ve put together a list of those flying cars that we wish we could actually own (assuming we wouldn’t have to pay for them). And we’re ignoring flying cars from the world of animation, so you won’t see any vehicles from The Jetsons or Wacky Races here. Also, to be considered, it has to be some sort of car, so Tom Cruise’s bubble ship from Oblivion isn’t going to fly here either, as one might say. 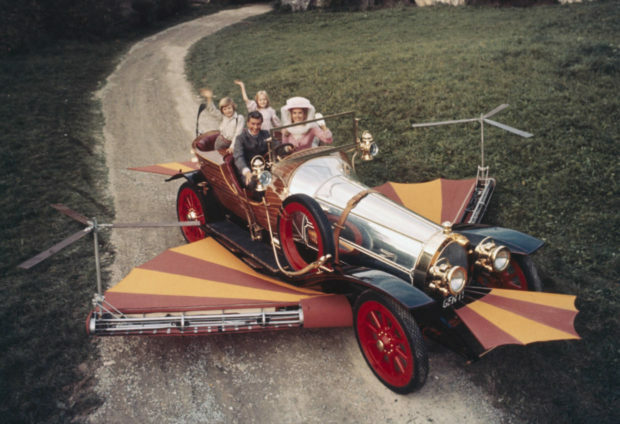 To begin, for those who like something with some class, we’d suggest Chitty Chitty Bang Bang, the brainchild of inventor Caractacus Potts. It’s just a comfortable on a country road as it is flying to an Austrian castle or rescuing kids from Baron Bomburst. Plus it’s a convertible and you can use it as a boat, if the occasion arises. CCBB seems to have a low top speed, even in the air, but the luxury and style that comes with its classic lines and steampunk finishes mean you probably won’t be any hurry to get where you’re going. The biggest downside to the vehicle is probably having that song stuck in your head all the time. 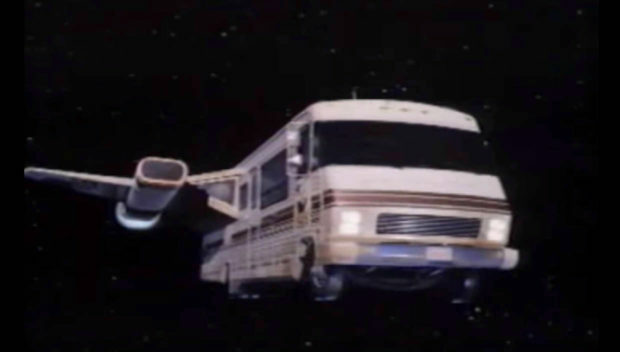 Spaceballs changed the way we thought about intergalactic spaceships, by giving us the Eagle 5, a flying and even space-going Winnebago. It definitely won’t fit in your garage, but you can do what every Winnebago owner does and just get a concrete pad poured on the side of your garage and you’re good to go. And with the Eagle 5, you’ll be able to fly around the neighborhood, even if that neighborhood includes Betelgeuse. You also get all the comfort you’ll need for those long trips with the kids, including a kitchen and two luxurious bucket seats up front. Keep in mind, if you don’t first take it for a visit to Pizza Hut, you have failed somehow. 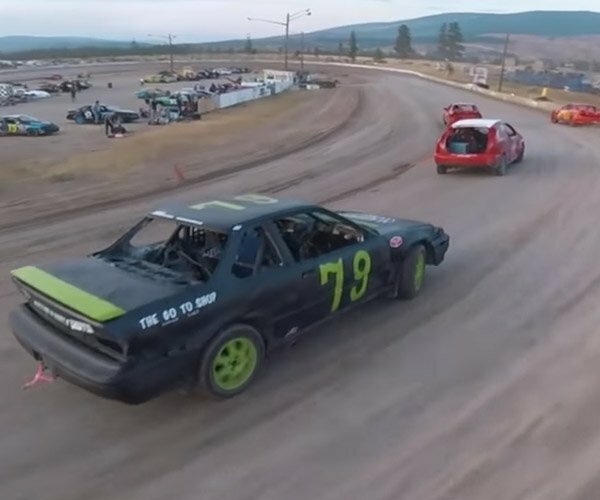 Doctor Emmett Brown transformed the often-maligned-but-ultimately-very-cool DeLorean DMC-12 into the actual car of the future when he added a flux capacitor and a few dashboard controls. 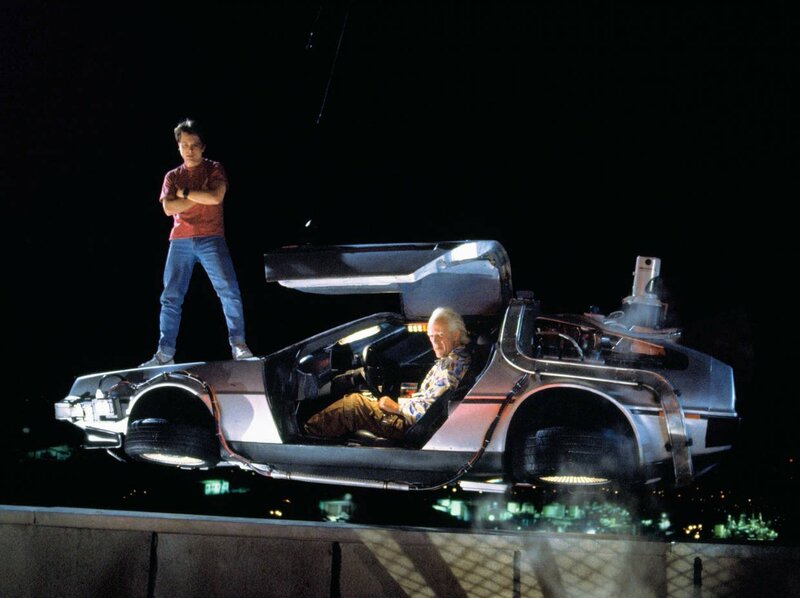 In the original film, the DeLorean was only capable of traveling backwards and forwards through time – lame. But in Back to the Future Part II, we learn that Doc Brown has made some improvements and now he can also take it into the air. It’s good to know that where you’re going, you won’t need roads. But you will need to come up with 1.21 gigawatts to power the thing. 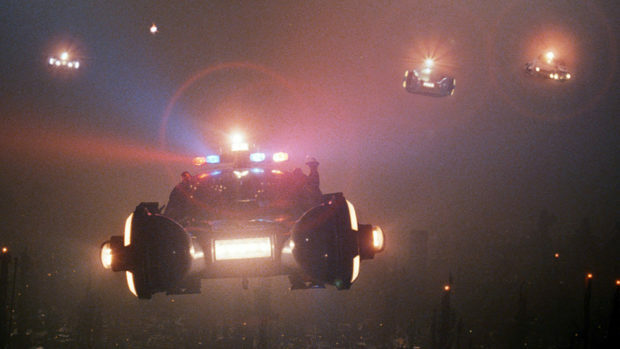 Probably the most capable flying car on our list is the Spinner police car from Ridley Scott’s original Blade Runner. The Spinner not only has the ability to take off and land vertically (a plus for those who have tiny driveways), it has voice recognition and flashing police lights on the top. Although, since it’s capable of traveling in three dimensions, why wouldn’t it also have similar lights on the bottom? Last on our list is the Ford Model T which, like Chitty Chitty Bang Bang, comes to fruition through the works of a quirky inventor, in this case, one Professor Ned Brainard. Released in 1961, the film embraces the wonders of the plastic age, through the use of Brainard’s wondrous invention: flubber. It seems this “flying rubber” can be attached to soles of your sneakers and give you astounding abilities or, when applied to an automobile, can make the car fly. For some unexplained reason, the two front wheels of a Model T are enough to provide control surfaces to manage elevation, banking, and turns. We’re unsure what the side effects might be if you commute to work each day in your “flubber-mobile,” but who wouldn’t consider trading a lifetime of mornings stuck in traffic for a prehensile tail? What do you think? 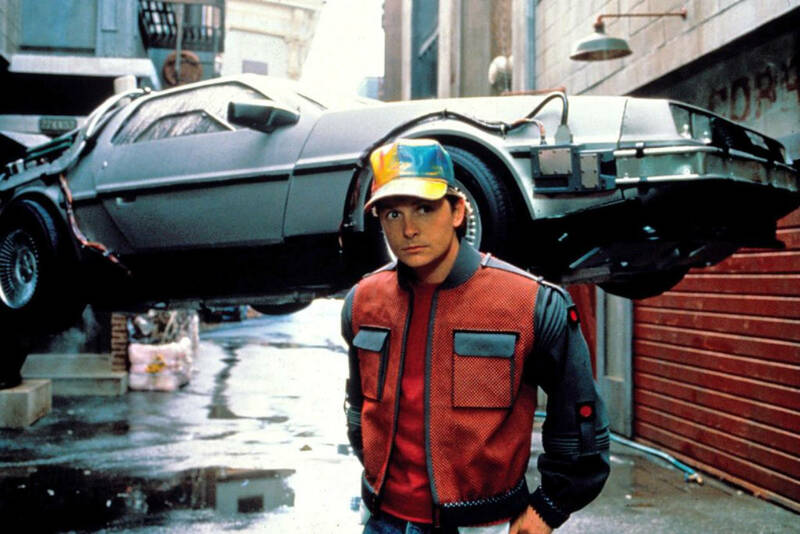 Did we miss any really good flying cars? I know we didn’t mention The Fifth Element here, but those are so similar to the Spinner we thought we could skip them.